This video presents information on the common types of contagious illnesses including H1N1 Flu, Avian Flu, Severe Acute Respiratory Syndrome (SARS) and Antibiotic Resistant Staph infections (MRSA). This drug-free workplace training video course helps you meet mandated training requirements and provides guidance for your managers and supervisors. Substance abuse affects everyone; not only at work, but everywhere. Substance abuse affects productivity and increases accidents, injuries, and illnesses. It's a serious problem in society today and in a work environment, substance abuse is something that cannot be tolerated. This program presents information on how hands get injured and what workers can do to prevent them including common injuries, the hazards to look out for and safe practices workers need to take to protect their hands. 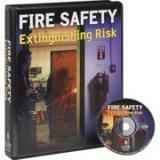 This video is an effective tool in training members of your safety committee. It will help members understand their roles and responsibilities in the safety process and how each member can make a valuable contribution. This program provides generally accepted guidelines in what we call third party liability or non-employee liability claims. There are many things you can do that prevent or help reduce customer accidents. Whether it is eyes, head, feet or hands, this program will educate your employees on the importance of PPE and how to select, use and maintain this important equipment. Accidents - “It Can’t Happen To Me” - Accident prevention is each individual's responsibility. This program is designed to make you think more about accident causes and how you can prevent injuries. Educate your staff on how to prevent transmission of the seasonal flu, care for themselves and others, and recognize danger signs that require urgent medical attention. Narrated by Eric A. Weiss, MD, of the Stanford University School of Medicine. Employee Involvement: The Key To Safety encourages employees to participate in safety programs and outlines how they and their organization can benefit by getting involved. Safety Orientation - Don't take short cuts or risks. There's only one-way to perform your job. If it can't be done safely, we don't want you to do it. That's our policy and your obligation. Accident and injury statistics compiled over the last 50 years throughout the world have reveal that 85% to 98% of all accidents are caused by unsafe acts of employees such as taking short cuts, violating safety rules, or job procedures. 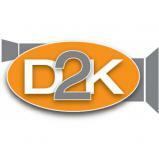 Are your veteran employees getting complacent about safety? Do they skip the safety procedures at times assuming that since they've done something dozens of times, they can skip them without consequences? Ladders bring portability and flexibility to any job that extends above the ground. But if not used correctly, ladders can be dangerous. The program includes information on step ladders, extension ladders and articulated or multi-purpose ladders. This popular series of videos shows you care about safety and compliance, and demonstrates techniques for dealing with common issues that affect the health and safety of your work force. This award-winning program reinforces the importance of proper housekeeping methods and illustrates the multiple benefits of keeping your work site in order � from increasing safety, to improving your image, to better utilizing your space. "The Drug-Free Workplace: Setting the Standard" features believable scenes in construction, manufacturing, hospitality, food service, and business. It raises your employees’ awareness of this widespread problem, shows the harm that can be done to themselves and others, and encourages them to get help if they or a coworker is affected by drug or alcohol abuse. Filled with practical advice and information from experienced safety professionals, this five-part module leads you from beginning to end through the steps needed to establish, maintain, and manage an effective safety program. This course provides basic guidelines for performing a job hazard analysis (JHA) in a variety of industrial workplaces. Based on industry best practices and OSHA guidelines, this course offers insights into why a JHA is a critical part of any safety program. Show your employees how to prevent fires, and what to do in the event of a fire. An effective safety program is developed from a wide range of integrated systems such as safety rules, training, hazard control, safety enforcement, inspections, supervisor leadership, and many others. 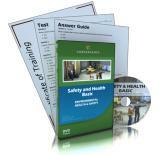 Accident investigation is a fundamental and integral part of every good safety program. Protect one of your most valuable senses with a better understanding of the anatomy of the ear, how sound works, how the ear interprets sound, the effects of noise on hearing, and annual audiometric testing. In a hotel, there can be no room for accidents. So when your employees "check in," they have to be well-protected against the hazards. 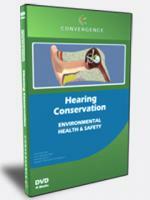 Accommodate a pro-active approach to safety by booking this highly informative program. 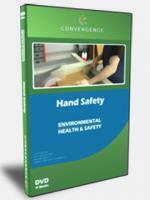 This course will provide general hand safety awareness and discuss techniques for avoiding common hand injuries. Bomb Threat Procedures - Bombing and the threat of being bombed are harsh realities in today's world. The public is becoming more aware of those incidents of violence and the potential for destruction and physical harm.